Cheniere Energy Inc. (NYSE:LNG) has announced the appointment of two managing directors from Icahn Capital LP, Jonathan Christodoro and Samuel Merksamer, to its Board of Directors. The freshly-announced appointments come shortly after Carl Icahn revealed his 19.35 million-share stake in the energy company earlier this month. With the aforementioned additions, the size of Cheniere’s Board of Directors has increased by two seats and currently consists of eleven directors. Carl Icahn, one of the greatest activist investors of all time, keeps shaking up companies through his high-class style of investing. He usually looks for good companies with underperforming management teams and attempts to push for changes by building large enough stakes to havemajor influence. It is quite surprising that Icahn is betting on gas exports through the freshly-initiated position in Cheniere Energy, after registering losses on other energy bets. Last year, Icahn’s investment fund suffered its first down year since the financial crisis by posting a loss of 7.4%, mainly owning to its exposure to the energy industry. 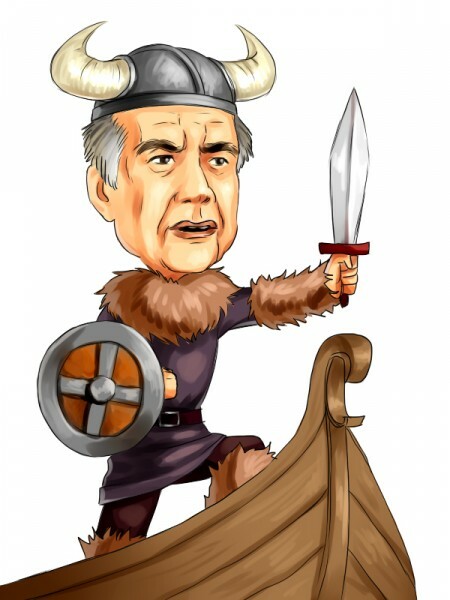 Following activist funds like Icahn Capital LP is important because it is a very specific and focused strategy in which the investor doesn’t have to wait for catalysts to realize gains in the holding. A fund like Icahn Capital can simply create its own catalysts by pushing for them through negotiations with the company’s management and directors. In recent years, the average returns of activists’ hedge funds has been much higher than the returns of an average hedge fund. Furthermore, we believe do-it-yourself investors have an advantage over activist hedge fund investors because they don’t have to pay 2% of their assets and 20% of their gains every year to compensate hedge fund managers. We have found through extensive research that the top small-cap picks of hedge funds are also capable of generating high returns and built a system around this premise. In the 35 months since our small-cap strategy was launched it has returned over 118% and beaten the S&P 500 ETF (SPY) by more than 60 percentage points (read more details). Cheniere Energy Inc. (NYSE:LNG) is a Houston-based liquefied natural gas (LNG) company that owns and operates the Sabine Pass LNG receiving terminal and Creole Trail Pipeline, through its general partnership interest in Cheniere Energy Partners LP. (NYSE:CQP) and its partial ownership interest in Cheniere Energy Partners LP Holdings LLC (NYSE:CQH). It seems that the market doesn’t have faith in Icahn’s energy bets anymore, as the shares of Cheniere have lost 1.68% thus far in today’s trading session. The stock’s performance this year does not suggest optimism either, bearing in mind the year-to-date negative return of 13% delivered by Cheniere’s shares. Seth Klarman’s Baupost Group and Andreas Halvorsen’s Viking Global are among the largest equity holders in Cheniere Energy within our database, holding stakes of 15.37 million shares and 11.32 million shares, respectively.